Sulfur transport and deposition in Asia, on an annual andseasonal basis, is analyzed using the ATMOS model. Calculationsare performed for two complete years (1990 and 1995). Deposition amounts in excess of 0.5 g S m-2 yr-1 are estimated for large regions in Asia, with values as high as 10 g S m-2 yr-1 in southeastern China. 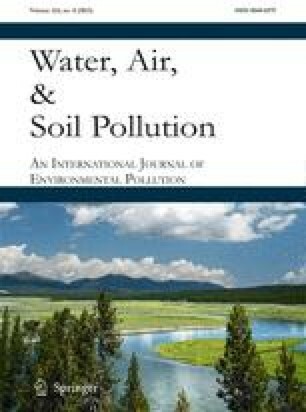 Annual averaged SO2 concentrations in excess of 20 μg SO2 m-3 are calculated for many urban and suburban areas ofeastern China and S. Korea, with an average of 5 μg SO2 m-3 over most of the emitter regions. Sulfur deposition by major source categories is also studied. Southeast Asia (Indonesia, Malaysia, Philippines, Singapore)receives ∼25% of its sulfur deposition from shipping activities. Sulfur deposition from bio-fuel burning is significant for most of the underdeveloped regions in Asia. Volcanoes are a major source of sulfur emissions in the PacificOcean, Papua New Guinea, Philippines and Southern Japan. Sulfur deposition is shown to vary significantly throughout the year.The monsoons are found to be the largest factor controlling sulfur transport and deposition in the Indian sub-continent andSoutheast Asia. India receives over 35% of its total depositionduring the summer months. In East Asia, sulfur deposition isestimated to be 10% higher during summer and fall than winterand spring. Model results are compared with observations from a number of monitoring networks in Asia and are found to be generally consistent with the limited observations.